Beef is never not delicious but certain cuts of beef are even more delicious than other parts of meat. Why is that? Because the cow is a pretty big animal and different parts of it can be fattier or leaner than the other. 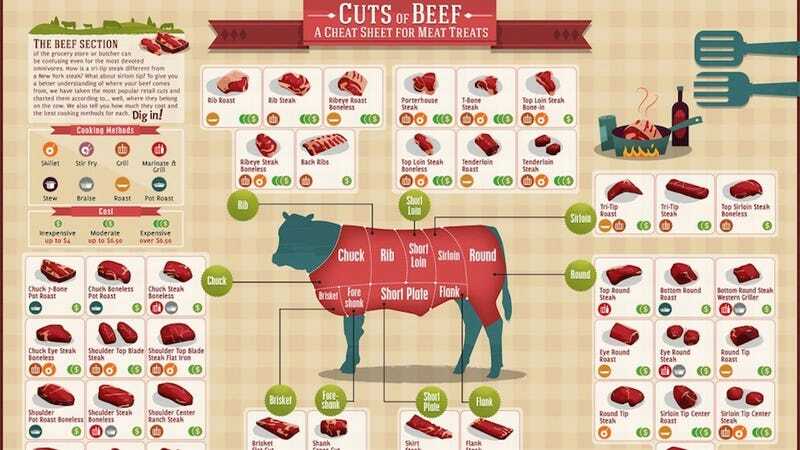 This infographic from Visual.ly breaks down where which kind of beef cut comes from. If you were ever curious to see where the chuck is from or where the sirloin lies, you never have to wonder again.